Mayoral's clothes are always dead on trend and these lovely leggings are the perfect new season fit. 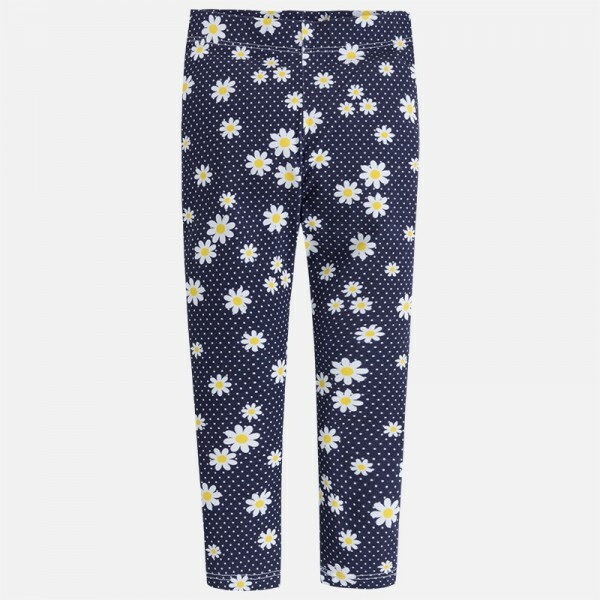 Beautifully made in daisy patterned stretch jersey fabric, they're going to have any young lady looking stylish and smart, whatever the occasion. Comfortable and really easy to wear, they're a stunning addition to any wardrobe. They'll look amazing either dressed up or down - perfect for those summer barbecues. There's great detailing - we love the stunning warm weather colours! It's a great summer look, the flower motif moves perfectly with the beats of the season.